Its not always easy getting your wee ones outside in the winter. It’s cold, grey, wet and sometimes the thought of getting togged up and out the door is just too much. Firstly, there’s nothing wrong with that. Winter is a time to slow down, breath, hibernate…a little. There’s no point in rushing around, trying to keep up the pace that you managed in the summer months, Winters tough…it’s not as easy so don’t feel you have to push yourself or your children to extremes. Stay indoors if you feel the need, stay cosy, pop the tv on and relax with a warm cuppa…all good! 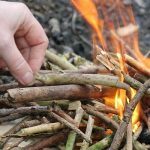 But just like any other time of the year there comes a point where we need the outdoors, we need to breath fresh air and let the children run free but how do we get them up and off that sofa and out that door? We capture their imaginations! What’s their favourite film just now, book, comic? 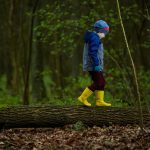 How can we combine their likes with some outdoor imaginative play? 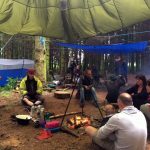 We can make props, initiate games, take camping equipment and tools to set up mini outdoor camps in our nearest parks and forests. Light some fires, keep warm and toasty, make sure warm drinks and snacks can be made or are on hand. Just a little bir of organisation can lead to a lot longer exposure to the great outdoors than we realise…a small sip of hot chocolate can get you through the next half hour and keep that games going a little longer. 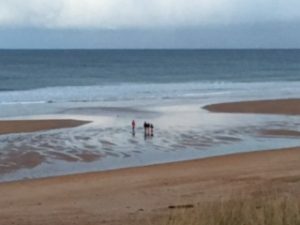 Over the Christmas period my children enjoyed some snuggly nights in watching Harry Potter and after the festivities were over I was keen to get us all out for some good physical running around games and a dose of bracing Scottish air. 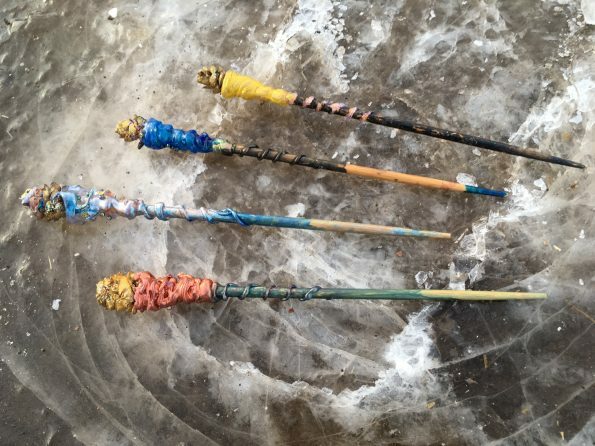 The children were looking a little less excited by the prospect so we designed and made some simple magic wands and decided that the house just wasn’t big enough for some of the spell casting they had in mind so we hit the park. We lasted a good 2 hours racing round casting all sorts of spells on the unsuspecting animals and inhabitants of the park, it was great and more importantly…job done, all children thoroughly ‘outdoored’ for the day and time to head home for some cosy time. Sometimes it just takes a wee bit of imaginative creativity!